Well what can i say about this well known little gem of a pond in central France, i could write a book about this place and a pleasure to write this short article about our recent adventures. 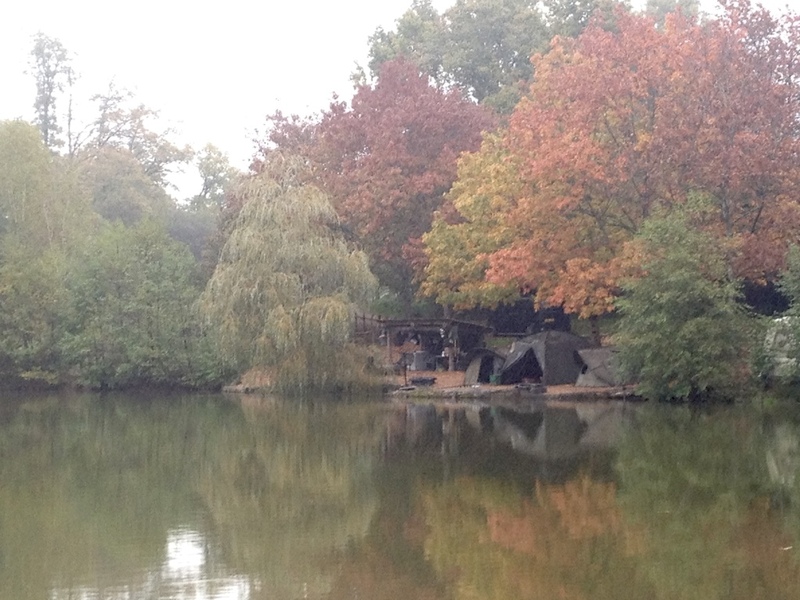 This well established water has been run as a fishery for over 10yrs by the dynamic duo Andy and Tasha Walker and what a team they are ! their experience and love for their fish is testament to the incredible stock of fish that lay present in their mere 2.5 acre spring feed pool. But don’t think this is an easy task trying to catch these fish as some has told me ‘its too easy’, ’like shooting fish in a barrel’, ‘no challenge fishing waters like that’ well i think thats a very naive way of looking at it as the more experienced anglers will tell you big fish in small lakes see a lot of angling pressure and become ultra rig shy over time, one advantage i do see though is that they don’t seem too bothered with bankside noise and you can quite often walk past a few ‘hippos’ wallowing in the shallow water off the dam wall. 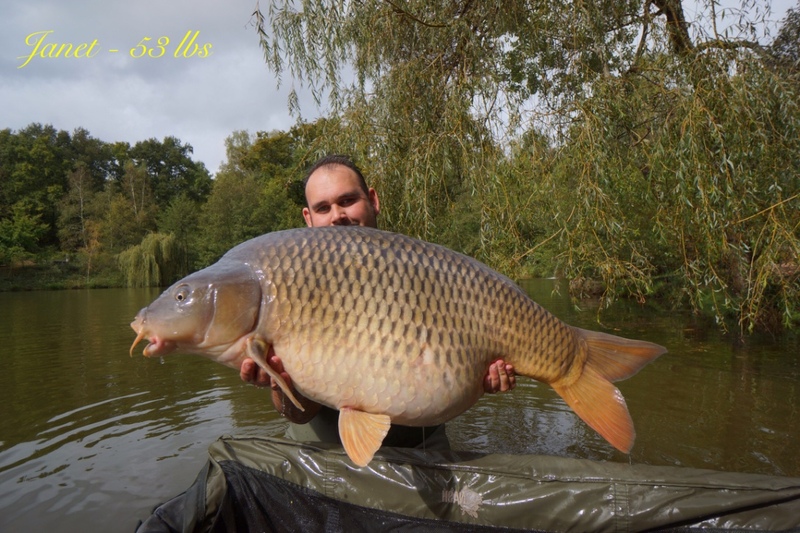 The lake has had shared some recent success in the press the past year with big fish anglers Simon Crow and Steve Briggs regularly fishing the lake and documenting their success, probably the most noted video blog was when Simon caught the Lake record common at 83lbs in October 2014 on a 9ft Scope rod and incredibly it was all caught on camera. Check out Youtube for their blogs and insight into their time at Echo pool. 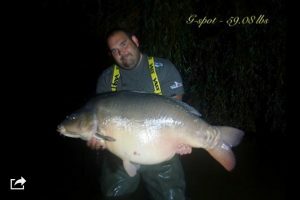 I wont write too much about about the lake and its inhabitants as Echo Pool has a very good detailed website that has all the information you need – www.echopool.co.uk Instead i will talk about the two sessions i have done to date at the venue. 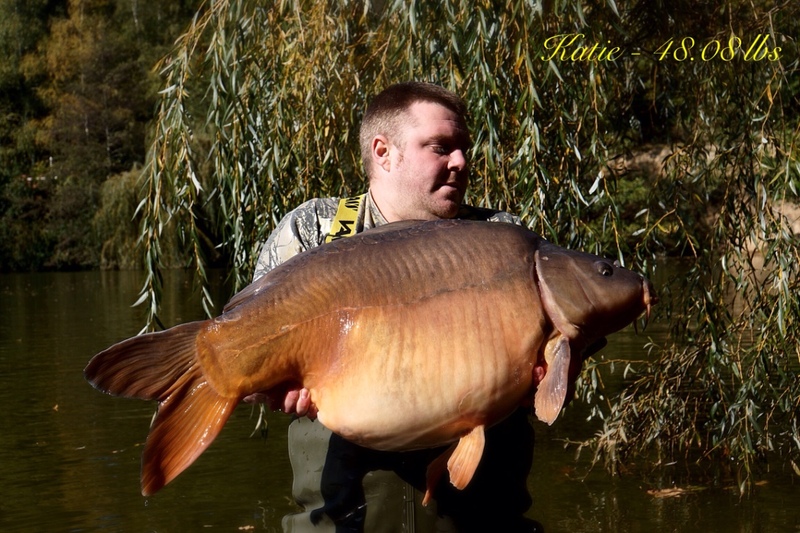 26 carp total for our first session with the best including…..
2015 session – Well i couldn’t describe how excited we were for this trip and luckily enough Tasha was able to pull a few strings to get me two weeks session again. Our plan this time was same strategy but with a less is more approach. We only brought my 4 custom torrix rods (12ft6 2.75tc tips) and opted to fish 4 spots in a rota system (yours-mine-yours-mine…..) style to hopefully even out the fish and give us the best chance of minimising angling pressure on the lake. Our main target is Colin and we knew that he may be due an appearance as was caught 6 weeks prior and i seriously thought that another appearance would be due just before the close season if lady luck was on our side. 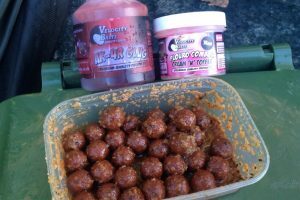 Rigs and bait predominately the same as 2014 with the addition of Velocity Khaos (AK-4R) bottom baits and glugs as i have had some recent success on these quality baits at home and at Etang Le Fays 2wks prior. Our approach once again seems to work well at the venue and once again the known A-team fish and Hippos found our nets throughout the session and some at record weights. Capture of Colin – after a slow period of no fish for 48 hrs new tactic was needed so a reposition of the 4th rod 10ft off the far margin baited spot with 3kg of Echo Pool pellet, approx 80 freebies of Baitcraft T1 boilies, with a Velocity Khaos AK-4R hardened hook bait pre soaked in matching hook bait enhancement and dusting of hemp insider, presented blow back style with size 7 Nash Gaper. The cherry on the top approach hopefully would bring us a surprise just like it did for the seldom caught Angry Sausage. So after a few beers and chat we retired to our bivvies and beds for the night which didn’t last long as couple of beeps indicated something was interested in the 3rd rod and as it was Chunks turn on the rods he was quickly on it after noticing the tip of the rod slightly bent and held in place. A short battle that lasted an adrenaline rushed 20mins ended with a colossal common roll over the net cord and we were literally weak at the knees with shock and excitement ! I think we caught it off guard as whilst in the net it exploded in a frenzy as if we had a hippo in the net, the noise was incredible. We quickly placed the net at the front of the swim in a safe position and called Tasha on the walk-talky to break the good news. 10mins later Tasha arrived to assist with the fish care and weighing of such a big fish (compulsory with all the A-team residents) and it was nice to have an extra pair of hands as the fish could hardly fit into the JRC XL walled mat. 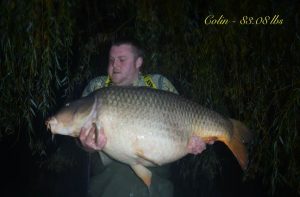 The fish was scale perfect with a huge mouth within lay the size 8 gaper nailed 3” back into the bottom lip and the Khaos 18mm boilie still intact. 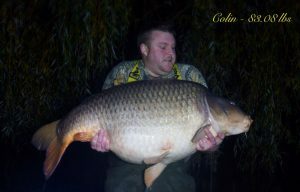 A safe and quick weighing period resulted in a new top weight for Colin and a new lake record weight at a colossal 83 lbs 08 lbs. 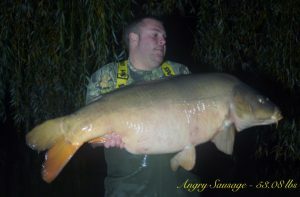 It also happened to be the largest carp caught on a velocity bait. A short period of stills and video then he was slipped back to the depths. 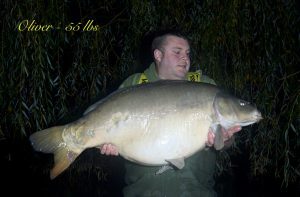 Target achieved, Fish of a lifetime !! 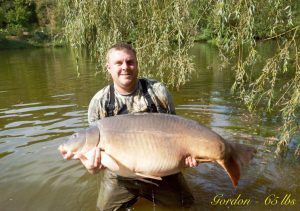 This small water is a very special place to fish, don’t come expecting huge captures and new pbs every trip as the catch record book proves blank weeks are possible if you come with the wrong approach. Andy and Tasha are very nice easy to get on with people and make sure the kettle is ready, coffee 1/2 sugar for Andy and tea one sugar for Tash ! 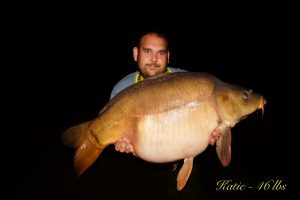 Also please stick to the rules they are there for the fishery welfare and the proof is in the fabulous condition of the carp, remember these fish are the livelihood and pets of the owners and treat them with respect. 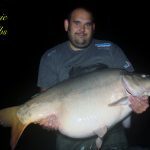 Before i went to Echo the rules about the fish to be handled in water i was unsure of as never approached that before on a previous trip but after gaining experience it is a very easy and safe process. Preparation is always the key but once you get a hang of this its very easy and most importantly safe as some of these fish are massive and difficult to handle. So if your fortunate enough to visit this fabulous water and experience Echo pool I’m sure you will fall in love with the place, at the moment all new booking enquires are closed due to the popularity of the water. See the website for details – www.echopool.co.uk as there has been many changes to the rules since last visiting the venue. 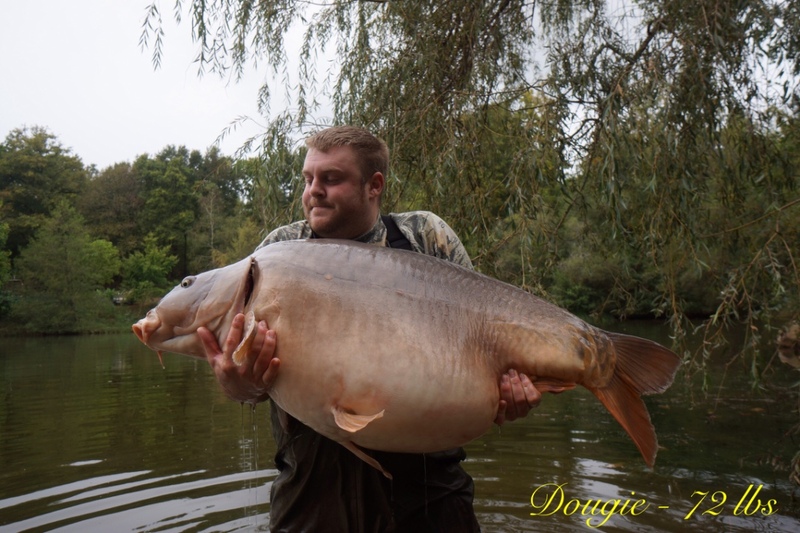 So heres to the 2016 sessions and hopefully some hippos will grace my nets this year, my personal hunt for Colin and other hippos continues…………..